Suzune is a tall, athletic girl and the best friend of Otome Akiyama. Suzune's favorite hobby is to put Otome in a hold and press on a spot on her head. She says that this will keep Otome, who is very sensitive about her short stature, from growing taller; however, instead of hitting the pressure point to stunt Otome's growth, Suzune always hits the pressure point to induce diarrhea. Though always smiling, she has a habit of using violence to compel anyone who doesn't seem to agree with her into submission. 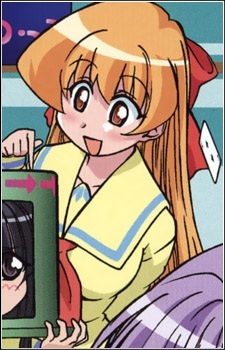 In the anime, one of her attacks is shown to be enlarging her hand mysteriously and letting loose a devastating "chop" on an unsuspecting character who is always left incapacitated afterward. This furthers the fact that she is a very strong girl even though she doesn't look it at first. Later in the anime series, when Hibiki rescues her, she shows a talent for making hand puppets depicting chibi forms of some of the characters, herself included.